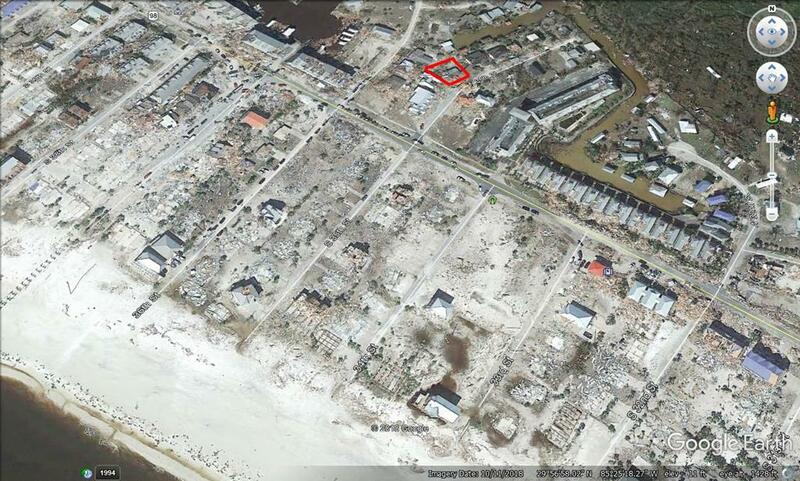 This is great lot a short distance to the beach on a quiet dead end street. The lot offers a small access to the canal allowing you to have a kayak. This lot had a home on it that was destroyed in the hurricane so it does include paid water and sewer taps. An elevated home could possibly have a view of the gulf. Slab has not been removed. This lot is currently located in the AE flood zone. On preliminary flood maps after the hurricane, the lot will be in an 0.2 pct flood zone.